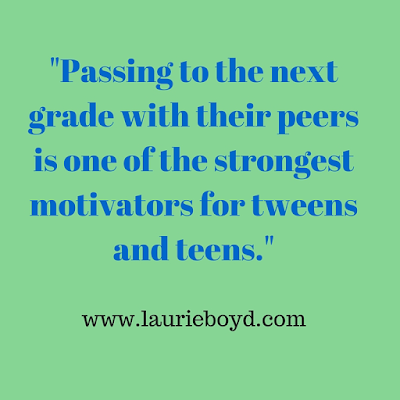 One school year, shortly after third quarter grades were posted, I realized that a large percentage of our eighth-grade students were not passing all of their core classes (math, science, social students, Language Arts). I told the teaching team we had to devise a system that would enable and urge students to pass all of their classes. I met with our 150 eighth-graders and told them how concerned we were about them passing their classes and being prepared to go on to high school. 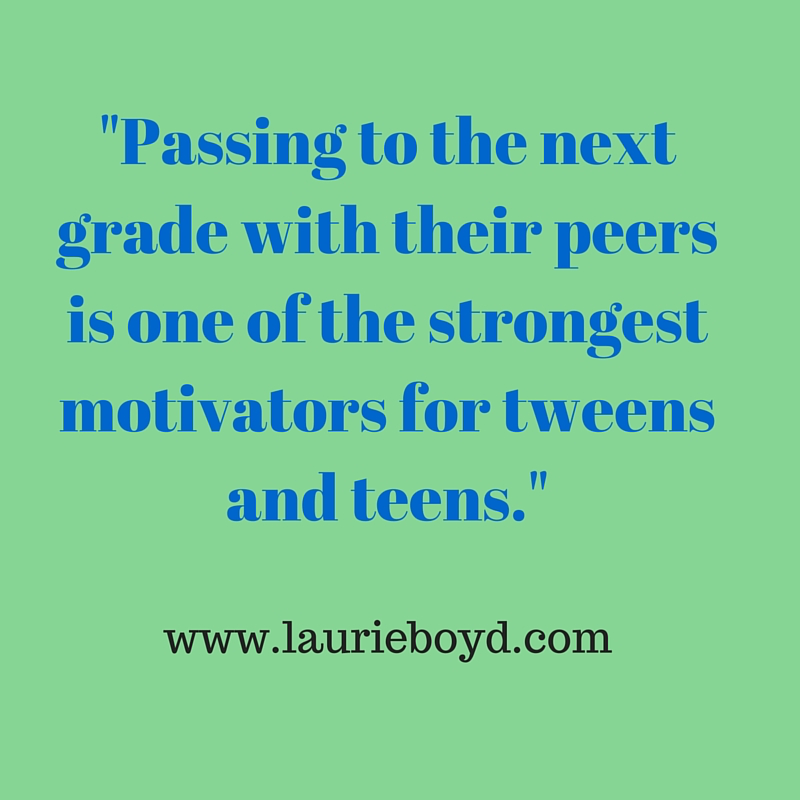 Passing to the next grade with their peers is one of the strongest motivators for tweens and teens. The thought of repeating eighth grade while all of their friends move on to the ninth grade is just unthinkable to young people. Still, many 11-, 12-, and 13-year-olds don’t believe anything very serious will happen to them if they fail their classes. Many can’t seem to count the cost of their daily choices. Some are dealing with such trauma in their lives that they can’t choose to be productive even though, deep down, they may want to be successful. 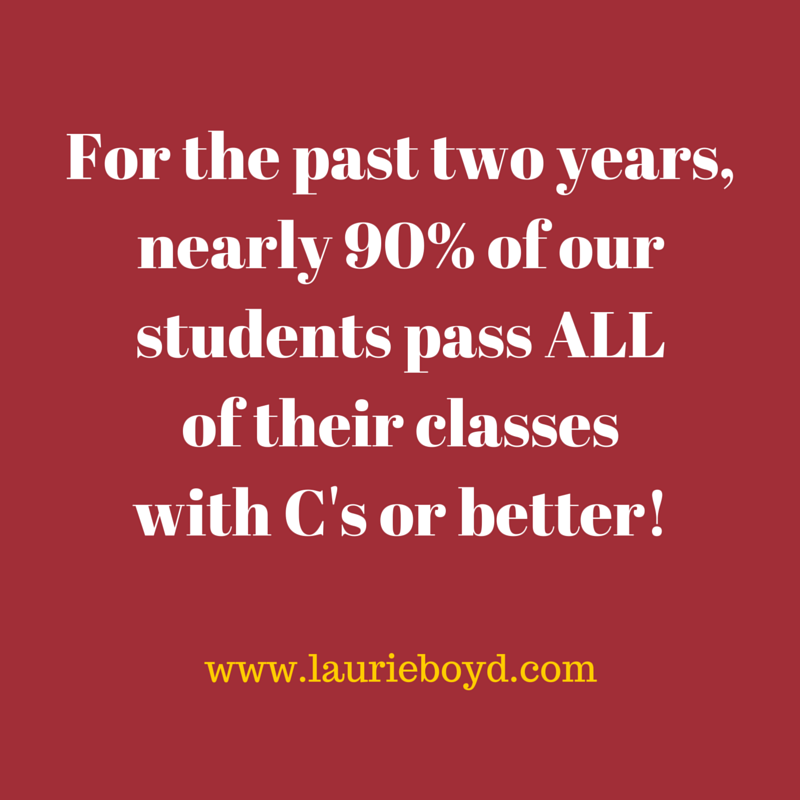 About half of our 8th-graders consistently earned A’s, B’s or C’s in all classes. Nearly half, however, were failing at least one class. We told students that every week, we would have one half-day of school in which kids who were already passing all classes would get time for preferred fun activities, while those who needed to complete work or re-take tests in classes they were failing would go to study halls in order to get things done. They would be able to get help from their teachers. We showed them a calendar of just how little time we had left to make this work. When I was finished talking, I said, “Now, here’s where you say, ‘Thank you, Mrs. Boyd.’” I was prepared to make my case about how I cared about them and their success or I wouldn’t keep them from recreation time, and so on. I was surprised to learn that I did not need to convince them. Our students very sincerely told me, “Thank you, Mrs. Boyd.” They sounded downright relieved! After talking further with some of them, I learned that all of these kids cared about their grades and whether they passed their classes or not. They just struggled to keep up with the work load, or could not get and stay organized, or were hugely distracted during school or at home, or they needed more time with their teachers in order to understand and master the content. They were actually truly thankful for this system, even though they would be in study hall while many of their peers were elsewhere having fun. That year, we enjoyed one of our best year’s-end celebrations as nearly all of those eighth-graders completed their course work and passed their classes. These days, we start our weekly “Recreation or Study Hall” period(s) at the beginning of the second semester. 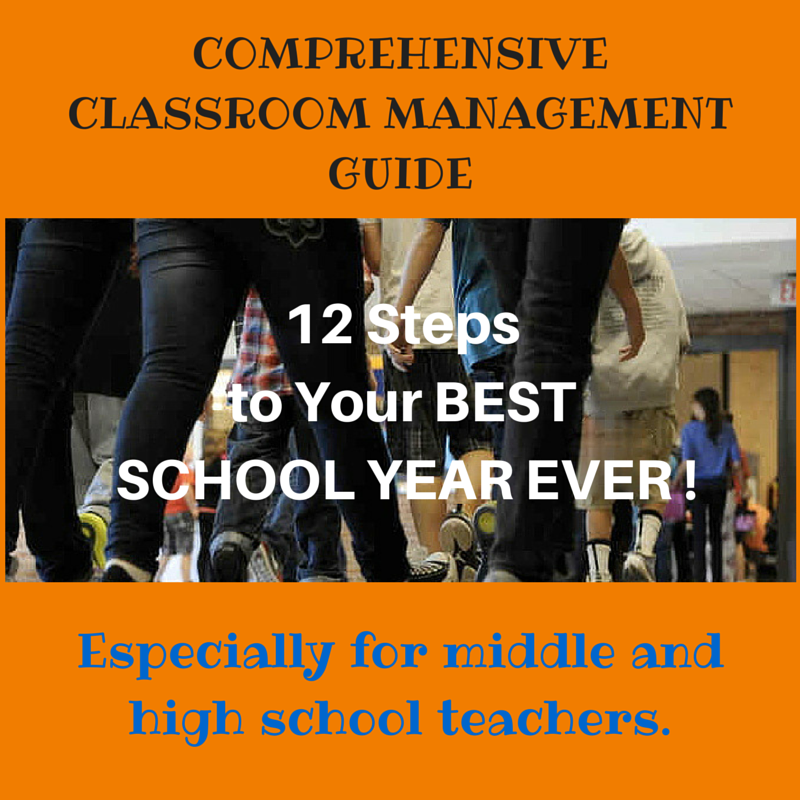 How does the teaching team manage the logistics of the “Recreation or Study Hall” period? Recreation choices typically include time on computers (approved sites only, of course), time in the gym (jump rope, hula hoops, basketball, dodgeball), or time on the field (soccer, touch football, kickball). Sometimes, recreation has to take place in a classroom and may include a movie, independent reading, board games, crafts, or puzzles. Some students who are already passing classes like to spend the extra time completing school work as well. Our grade level teaching teams consist of two math teachers, two Language Arts teachers, one science teacher, one social studies teachers, one SPED teacher, and one para-educator. The team assigns fewer teachers to supervise the recreation time and more teachers to operate the study halls. 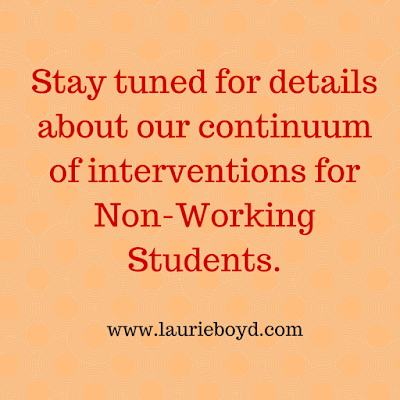 Reducing the teacher-student ratio is part of what makes this intervention work so well. During study halls, teachers may reteach concepts to small groups of students, guide independent practice, or simply provide time and space for students to finish work and for them (teachers) to grade make-up work. Of course, teachers have to sort kids into groups of passing / not passing, and then they have to help students organize their time so they are ready to work with purpose during study halls. This planning becomes a large part of what teachers do with their students during our weekly advisory time, which we call “Family Advocacy” period. "Recreation or Study Hall" period is only one of the interventions in place to support our struggling students. We have a number of students who start the year failing or refusing to work. We have been amazed by the numbers of students who seem to opt out of school. We know that meaningful lessons should engage students in learning, but many students are already disengaged from schooling altogether by the time they enter middle school as sixth-graders. 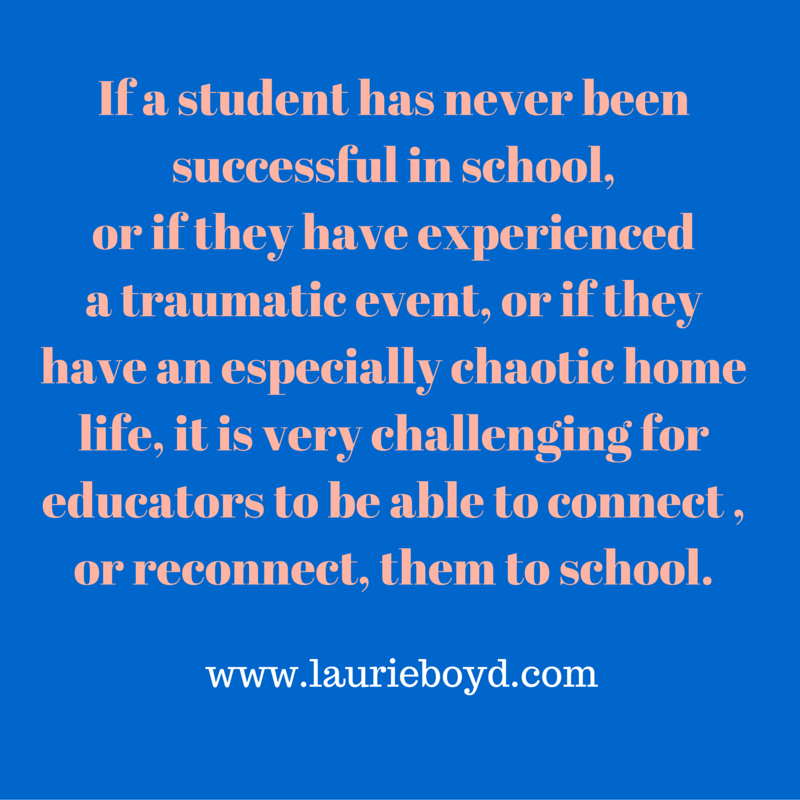 If a student has never been successful in school, or if they have experienced a traumatic event, or if they have an especially chaotic home life, it is very challenging for educators to be able to connect, or reconnect, them to school. I remember worrying about these non-working students as a teacher. You always mean to get together with them and try to figure out what's in the way of their engaging in school. You may even achieve an initial conversation and a phone call to a parent, but soon, with all the other demands of your day, you find you have still not made progress with the non-working student. 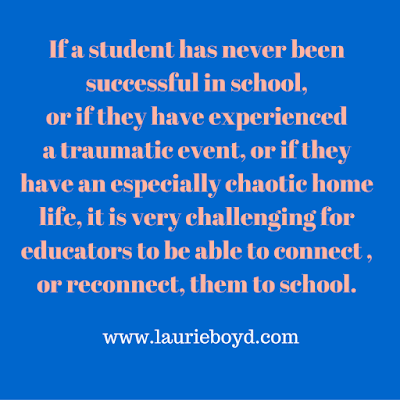 It is easy for these students to fall through cracks at school. If they are quiet they can often fly under our radar from day to day. If these students are also behavior problems, we find ourselves spending time and attention on their disruptive behavior instead of their academic needs, just to maintain some semblance of order in the classroom. At Arrowhead, we are always trying to close up holes that students fall through. 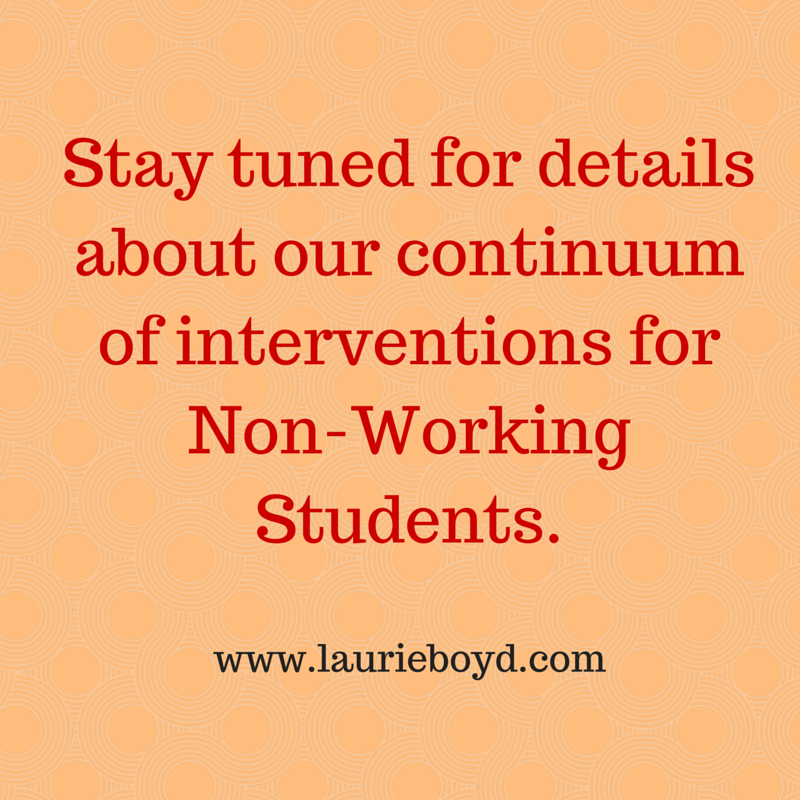 I decided to put a continuum of interventions in place throughout our school to address the behavior known as refusing to do school work. Our grade-level teacher teams meet for 45 minutes every day in personal plan time. They also meet for 45 minutes every day in team meetings. At team meetings, they talk about students who need behavior support plans. They also identify students who are not working and who are failing classes. They meet with struggling students and parents, communicate intervention plans, follow through on these plans, and monitor and review the students' progress every two weeks. If they suspect that the student has a learning disability and is not identified with one, the team starts a SIT Plan (Student Improvement Team Plan) in which they will attempt several interventions or modifications, including some assessments, to determine if the student should be referred for Special Education services. A parent conference is an early step in this process. If the teachers do not suspect a disability, the team will start the student on our Non-Working Student Plan, a series of increasingly intrusive interventions designed to identify reasons for not working, to communicate the expectation that students must do school work in order to pass to the next grade level, and eventually to constrict parts of their school day until the student chooses to work hard enough to pass their classes. We identified a measurable goal for success in school. 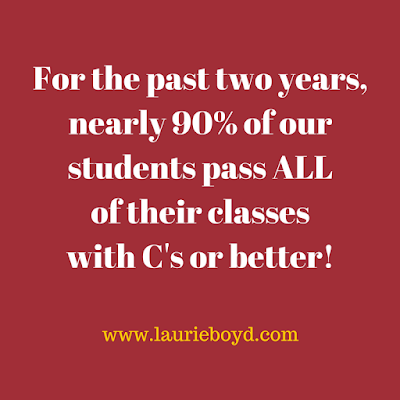 Students who pass all their classes with C's or better typically have 90% attendance, exhibit 90% acceptable school behavior, and complete 80% of their work with a minimum of 70% accuracy. These percentages become the student's goal during each intervention. Helping teachers and students put these interventions into their week is the responsibility of the school leader.